A contract administrator manages company contracts ranging from employment contracts to supplier negotiations. He is the link between the company and its business counterparts, to make sure the company he represents is benefiting from every contract signed. Contract administration involves overseeing contracts signed by the company to make sure what was agreed in every given contract is being followed. In short, he monitors the performance of each contract. If a contract involves supplies, his job is to make sure delivery is on time. He also oversees the accuracy of deliveries, whether it is company equipment, shop supplies, materials or services. The contract administrator manages the contract database, which is used to track and analyze every contract. He is also responsible for professional and technical services. The ability to develop a standard contract using appropriate language is also part of the job. The contract administrator acts in liaison with management throughout the company hierarchy to gather and analyze data on company sourcing strategy. He recommends new trends in sourcing and procedure. 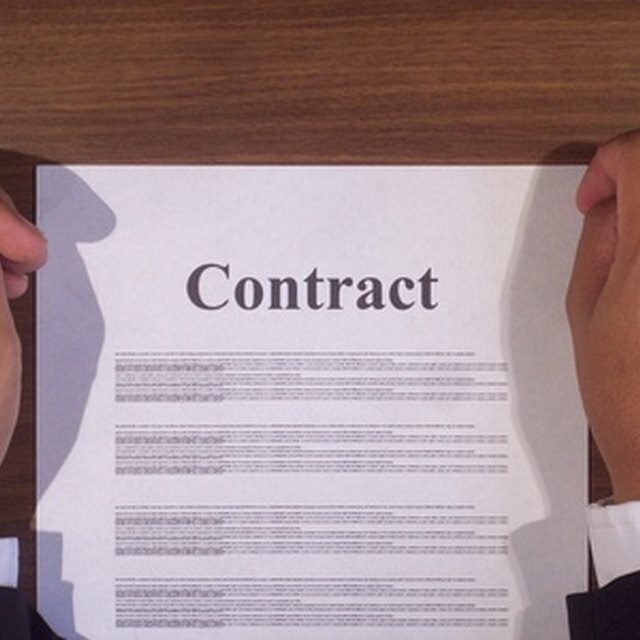 What Is the Definition of Contract Administration? The job of a contract administration also requires customer support to make sure business between the two parties is running smoothly. He is in charge of resolving any minor conflicts or infringements arising from existing contracts. The contract administrator provides leadership in contracts administration. In this case, he must have adequate knowledge of the law governing contracts. He needs to be conversant with regulatory, legislative and industrial changes to make sure if changes are needed to contracts, they are done within the required time. That also requires that a person in such a job should have leadership, management and interpersonal skills. Someone administering contracts is also supposed to make field visits. He should go out and meet business partners. If the job involves construction, going to the site is likely to be an effective way of monitoring a contract.